A chief ever glorious like Ali Pashaw. Ali Pasha of Jannina (1741-1822) dominated Albania and most of Greece during the Napoleonic period. Based in the Epirus (Northern Greece) city of Jannina he developed a virtually independent principality, whilst retaining his nominal position as the Ottoman governor. Son of a notable Albanian family of Turkish descent he spent much of his youth as a bandit, an almost respectable profession in Albania during that period. He married into the family of a local Pasha and proceeded to gain official appointments by variously bribing, denouncing and murdering the official rulers of local districts until he achieved his first official appointment as Pasha of Delvino and later the strategically important Pasha of Jannina. He engaged in a series of wars with local tribes and rulers until he controlled a vast territory either directly or through his sons. The Porte received regular tribute, officials were extensively bribed and he organised an impressive intelligence organisation in Constantinople. Even when he entered into treaties and understandings with the great powers the Porte was largely powerless to depose him. Despite (or perhaps because of) his barbarous reputation he was highly regarded by Napoleon, Nelson, Victor Hugo and Dumas. He developed Jannina into an impressive capital with a harem of over 600 women and an enormous financial wealth. Both as a sadist and sensualist he had a huge appetite. Many westerners visited Jannina, including Byron, and much of our understanding of Ali comes from their descriptions. He shifted allegiances between France, Britain and Russia guided purely by self interest. They supplied him with modern artillery and he hired foreign experts to train his troops (see below). Eventually the bungled assassination of a political opponent in Constantinople forced the Sultan to issue a decree deposing Ali and his sons from their pashaliks. Although it took two years and an army of more than 20,000 troops to capture Jannina in 1822. Ali abandoned by his commanders and his family, was murdered after being promised a pardon. Ironically the effort to dislodge Ali aided the Greeks in their struggle for independence. His head and four of his Pasha sons were sent to Constantinople. Albanians there bought the heads and buried them with the epitaph "God is the Creator, the Eternal. Here lies the head of the famous Ali Pasha of Tebeleni, former Governor of Jannina, who for more than thirty years, made himself independent in Albania". Ali Pasha's army was a polyglot force by no means limited to local troops. The backbone of the army particularly in the early years were Albanians (known as Skipetars). 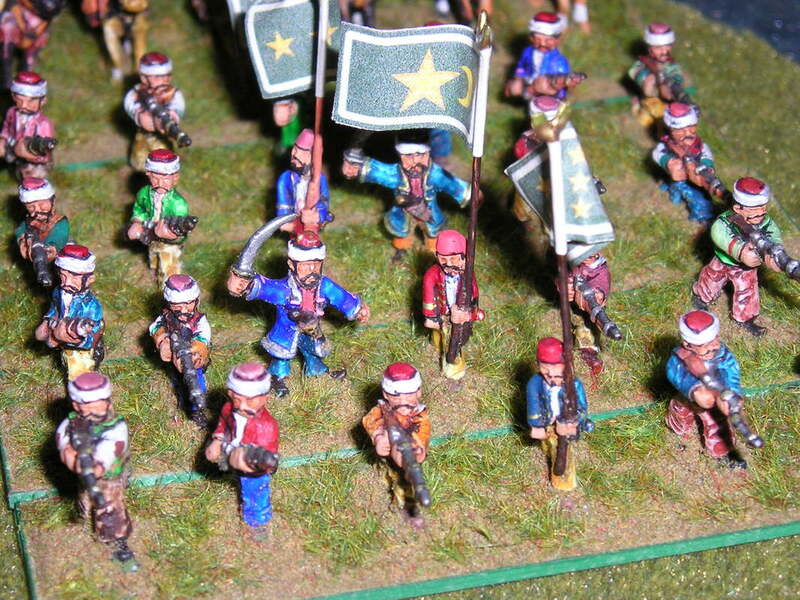 These were his most loyal troops, mostly skirmishing infantry in their famous baggy pants, skull cap and waistcoat. 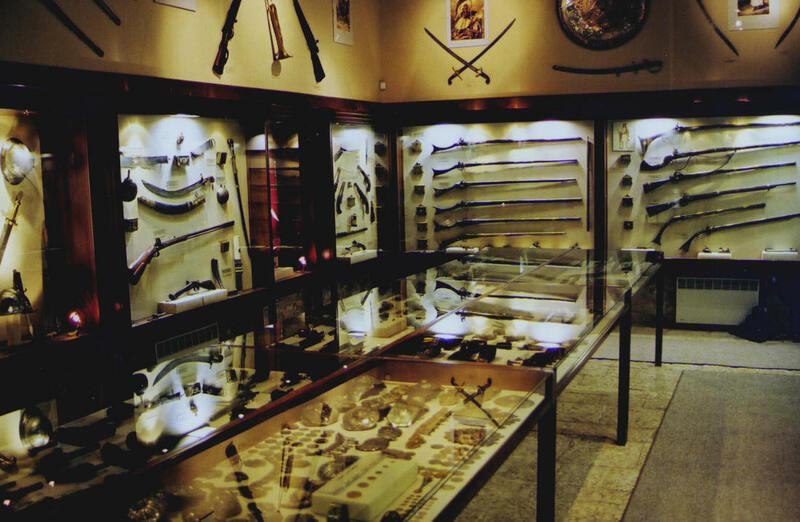 Byron described Ali's personal guard as dressed in "a long white kilt, gold worked cloak, crimson velvet gold laced jacket and waistcoat, silver mounted pistols and daggers." In addition there were Tartar cavalry, Moors, Turks and Greek Martolos. Whilst these Ottoman troop types would normally be classified as irregular, Ali had units trained, equipped and drilled by European officers. Mostly French until 1808 then British and by the end mostly Italians. Ali was an enthusiast for artillery. In 1815 he had more than 200 pieces. These included modern guns supplied by the French and British as well as captured Russian guns. He had an artillery school at Jannina run by European officers. Unfortunately he did not always follow their advice. Had he upgraded his fortifications as recommended by Charles Napier he may well have successfully resisted the final siege of Jannina. Ali also had a fleet of at least 16 ships operated by his son Veli at Preveza. Opponents for this army in addition to local rebellions included Russians, French, other European Pasha's and the Ottoman army. For campaign purposes it is essential to remember that this is mountainous terrain. 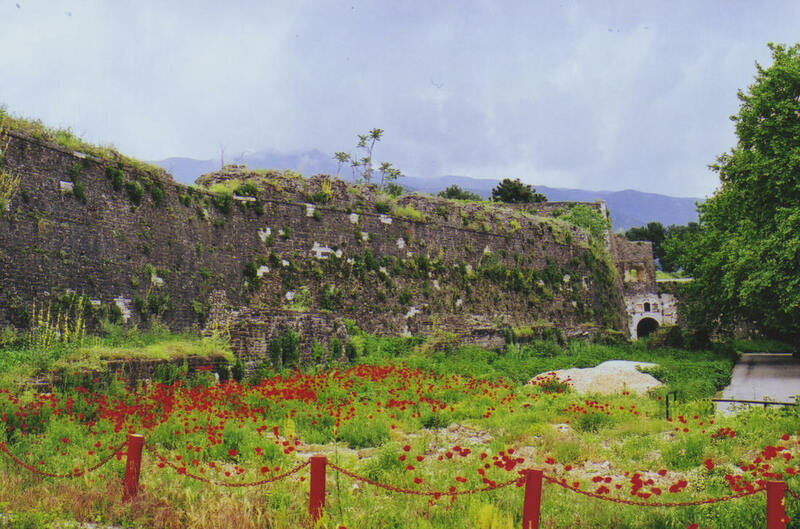 Defenders made effective use of natural defences rather than fortifications. There were also amphibious operations in the Ionian islands and along the Adriatic coast. The best secondary source is William Plomer 'Ali the Lion' London 1936. This was reissued by Jonathan Cape as 'The Diamond of Jannina' in 1970. Also J.W. Baggally 'Ali Pasha and Great Britain' Oxford 1938. For the Ottoman armies of the period, William E. Johnson 'The Crescent Among the Eagles'. A version of this article appeared in 'The Dragoman'.